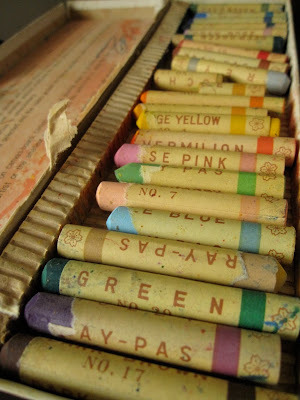 I got out my vintage art supplies recently. 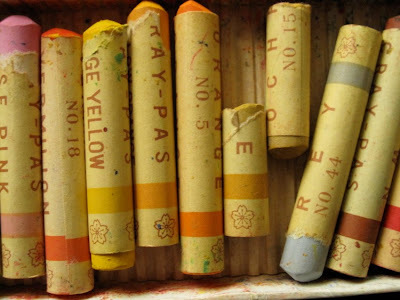 Sakura Cray-Pas oil pastels, given to me by either my grandmother or my great aunt Grace. 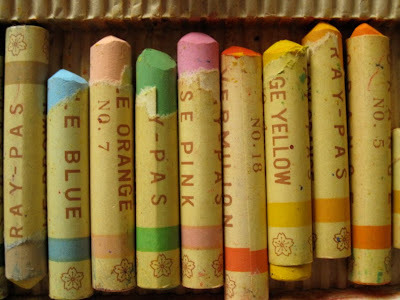 There's no date on the package, but I know I've had them since childhood. 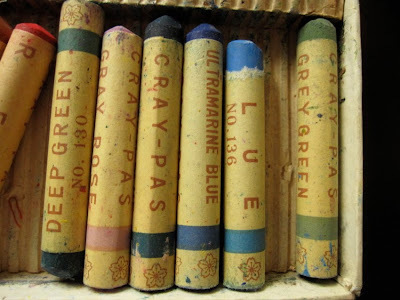 They've clearly spent more time in storage than in use, but their colors and packaging are very familiar to me. 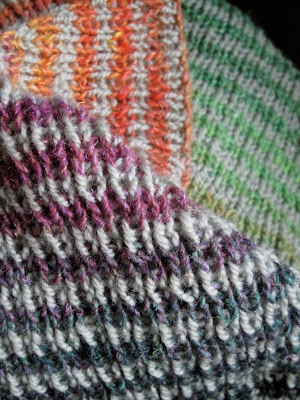 The colors of my knitting wanted to play along. 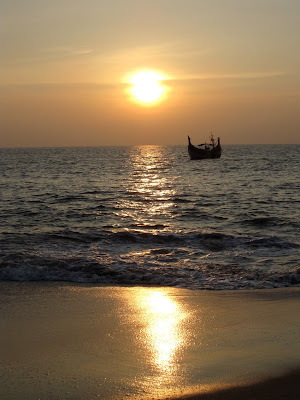 How romantic does that sound - the Malabar Coast. I waded in it, and it was very warm. 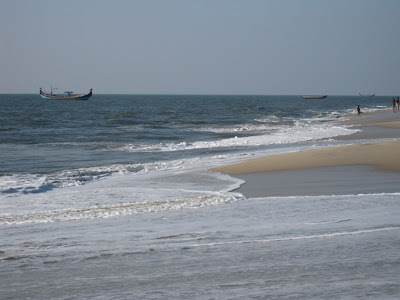 Spent a week in Kerala, and saw so many beautiful sights, but first I want to indulge my penchant for beach pictures and talk about the Alleppy beach. 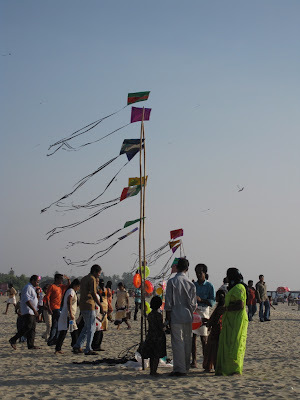 Totally wanted one of these kites, made of single sheets of mylar, with videocassette tape tails. It was a Sunday, and lots of people seemed to be headed to the beach in family groups. Heh - I actually thought it was a bit crowded when we arrived. 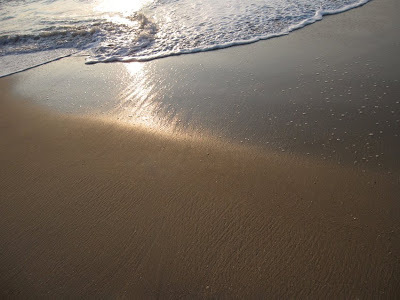 Further up the beach, though, it was more solitary. 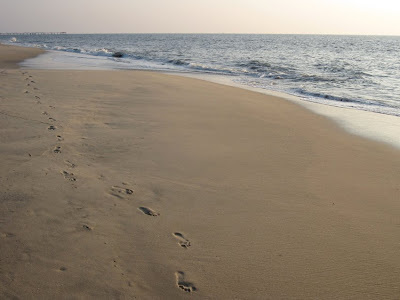 For some reason, I never get tired of the beach footprint photo. 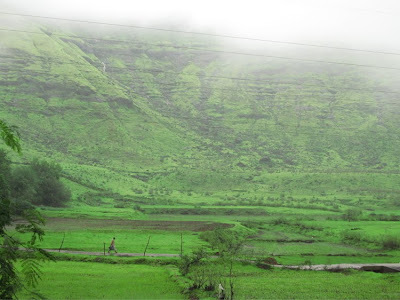 Evokes the whole thoughtful barefootness of being there. a decently-behaved set of local youths came and started chatting with my husband in broken English. 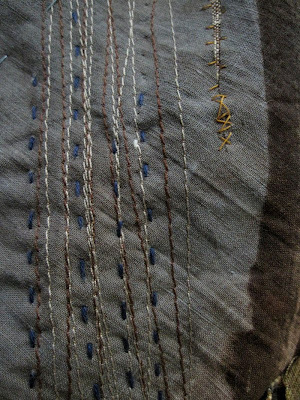 They asked him what I was doing, and I demonstrated how I was turning loose fibers into string, showing them they way twist enters the fiber. They were delighted, and one kid pulled out his phone to get a picture, then decided it really called for video. 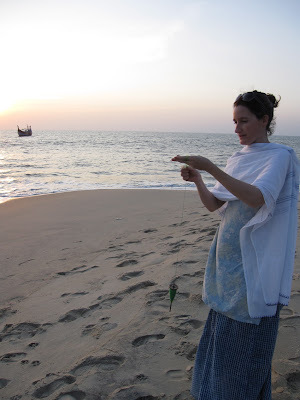 So I have actually been videotaped spinning on the beach in Alleppy, Kerala, South India. If anyone sees it on YouTube, you have to let me know. 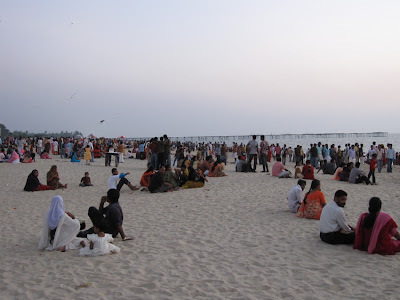 It's hard to convey in one photo, but the beach entrance was teeming with families, and the sky was filled with variously sized dots of flying kites. This was clearly the place to be, of a balmy Sunday evening. People, images and events have been conspiring to remind me that I'm an artist, and coercing me to pull out half-made, neglected things. And so with gratitude to all of them, I gather materials and visuals around me, set a chair near the window, and get back to work. 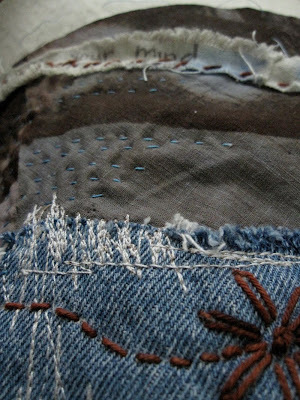 Coincidentally, I happen to be preoccupied by the same thoughts as when I started this piece a few years ago: boundaries, borders, language, miscommunication, violence, failure to understand, stalemate. 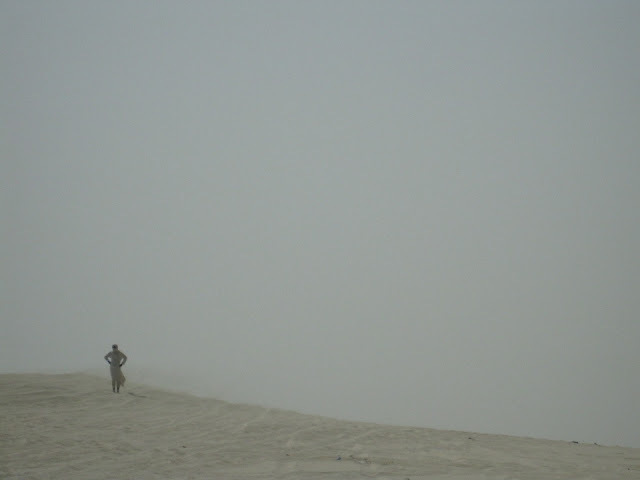 No, one doesn't just come across these people in the desert anymore. 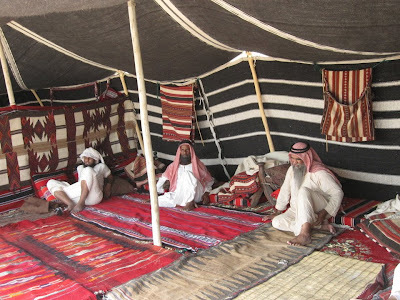 It's actually quite difficult to track down real bedouins, especially anyone living in the old way. Why would anyone choose such a difficult life when they have the paved roads and malls of Doha now? 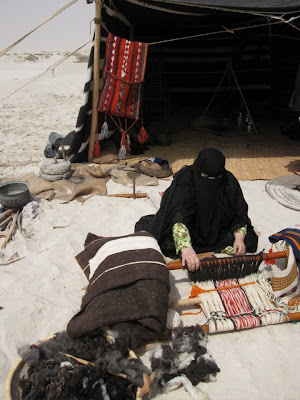 But for the film, we got to re-create a bedouin scene. Five adults and two children were cast, and I got to help choose their wardrobe, after consulting fabulous old photos of bedouins which I can't post here because they're copyrighted. 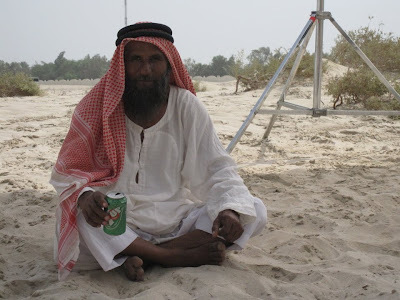 The book Bedouins of Qatar by Klaus Ferdinand was the "bible" of the art department for this shoot. It's full of great photo documentation from the 1930's, when nomadic bedouins were still living off their camels and goats, and following the seasonal shifts in water and foliage on foot. This is how the scene looked from my point of view. Now, this was my first experience with live action film at all, so I was intrigued by the way the cameraman on the end of the crane moved from lower left, across and up, with the grip guys manually balancing and turning the other end of the crane. 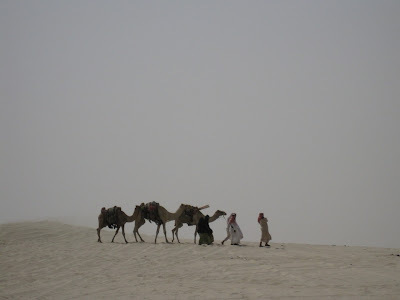 The tent is divided into male and female areas, and there were an additional two camels to the left. They got agitated when members of the crew came darting onto the set between shots - these camels also had no prior experience with film, it seems. We're in the desert, so you can see they had to lay down plywood boards under the crane wheels. Many other concession had to be made for sand and sun. The director and anyone else on the computers or monitors had to huddle under tents of black cloth to see their work. The women's area: mother and daughter, and a weaver! I went shopping in the souq for their jewelry the night before - the headpiece on this woman looked particularly cool. The girl has a bracelet, and both women have necklaces, which don't show in my photos, but I noticed they got good shots of all the jewelry on film. Obviously, meeting the weaver was the best part for me. 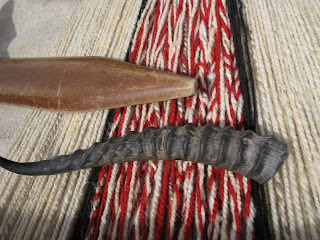 She's a weaving teacher here in Doha, also knows how to spin, and brought all her own gear, including the nearly-100-year-old oryx horn tool from her grandmother. This tool never left her side. 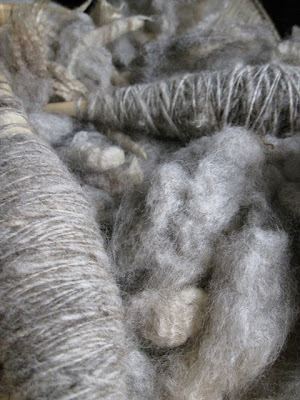 It's used for separating the warp threads, and for tamping down the weft after each shot. 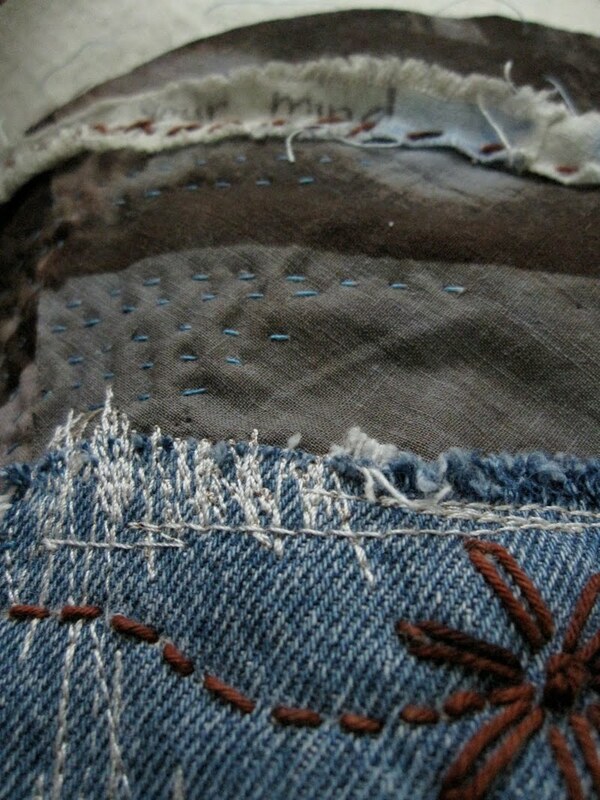 All of her other loom bits are contemporary, so the art director covered most of them up. 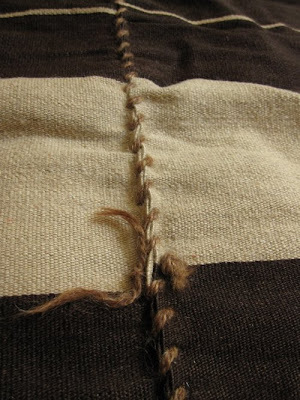 The woven wool robe with gunky wool from my past post is there on the left, and pieces she wove on the other side. She also made the bag hanging behind her. 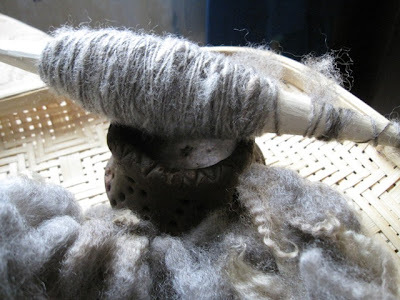 There's my raw wool and Qatari spindle as prop in front. I was spinning a bit more on set, to make the cop a little bigger, and all the local men were watching in fascination. One of them instructed me to spin finer, so I did, and got a thumbs up. He said something in Arabic, and one of the grip guys translated, "He says you're better than him!" I wish there had been more time for fiber-relating bonding with these people, but even with the weaver, I only got to speak to her for brief moments between "Cut!" and "Quiet on the set......" I have her business card, though, and plan to visit her when she's teaching. Here's how she really looked, for an hour or more - director James on the left, cameraman John. In this setting, the men are more work for the make-up department because they all need shaggy beards. The women only need a bit of kohl around their eyes, since that's all you see. 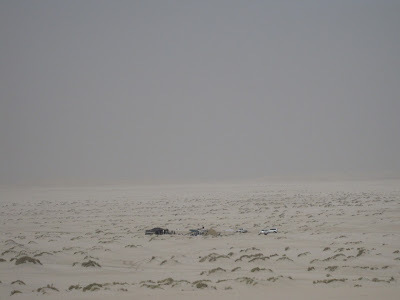 We drove up to the top of a high dune for the final shot (the first image of this post,) and our set was almost invisible from this distance. 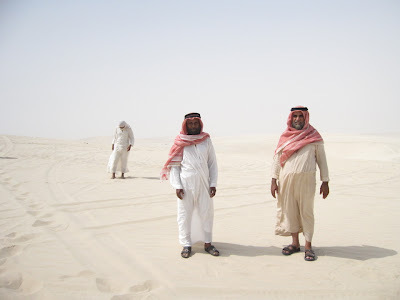 The men seemed to feel at home in the desert, even though they're all from the city. 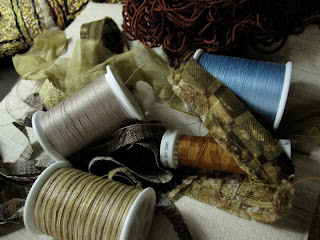 I was hired to assist with a small, documentary film production here in Doha, as someone who knows about textiles. 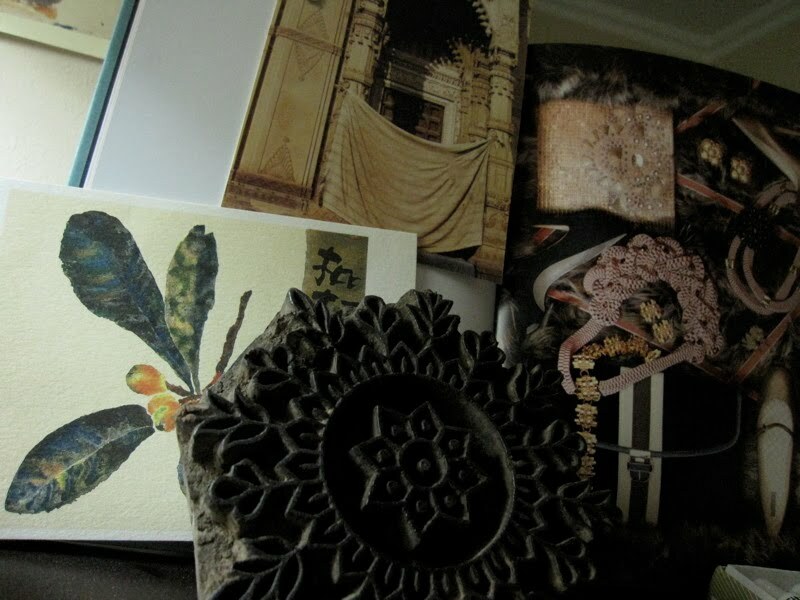 There were to be historical reconstruction scenes, and I was meant to help the art department and wardrobe with authenticity of detail in traditional handicrafts and costumes. This sounds very promising and somewhat glamourous. However, a bit of a gap developed between what I was hired to do, and what I ended up doing. A rather large gap, in fact. Since no one comes here to listen to me complain, I'm going to gloss over all that. Suffice to say that I have learned that I am not personally interested in working with film production in the future. These first images are from the Sheikh Faisal al Thani Museum, an extensive (make that "stunningly massive") private collection viewed by appointment, which includes not only textiles but cars, boats, and weaponry. I only saw these pieces behind glass. I absolutely love this display. 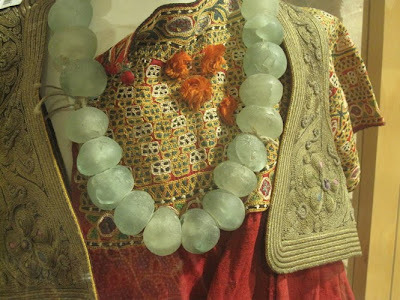 A child's tunic and vest from India, and fabulous glass beads from... somewhere. The whole room of costumery was a demonstration of the intermingling of people in the Gulf. 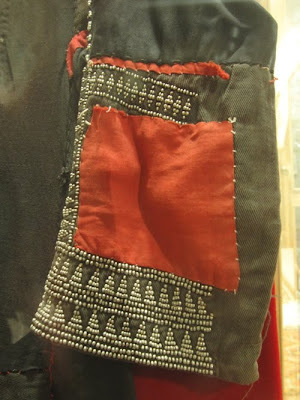 The clothing displayed, all of which could have been worn in Qatar at some time, was from Turkey, Afghanistan, the Levant, India, China, and all points in between. 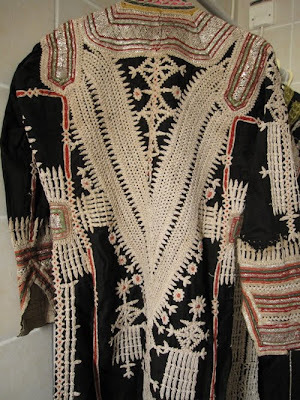 The hand-sewn, metal-beaded jacket below, from Central Saudi Arabia, struck me because of its resemblance to Akha clothing in southern China and Thailand. Even the most basic of textiles had surprising and intriguing details. 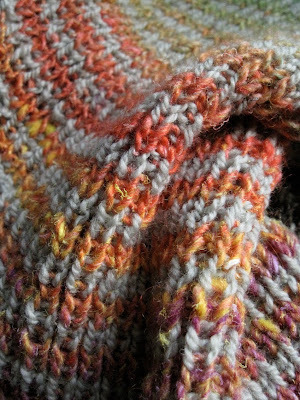 For example, this handspun, handwoven, weft-faced, heavy men's robe was made with such gunky wool! 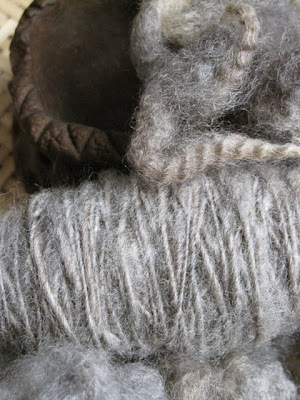 All the stuff I try to pick out while I'm spinning is still in there - look at all that gunk! 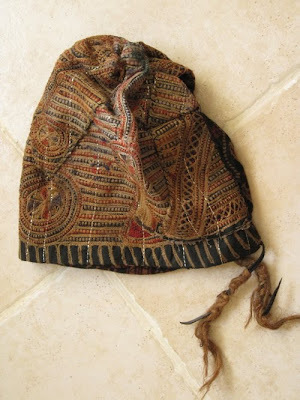 This sweet embroidered child's cap also has camel hair wound around the tassels. This again in the Yemeni style - a wonderfully dense embroidery using a variety of stitches. Finally, the pieces that made me nearly pass out. 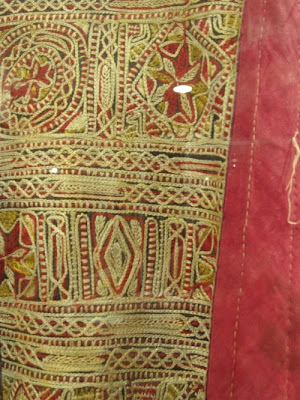 A thobe al nashal, a woman's decorated robe, from the collection of the National Museum of Qatar. 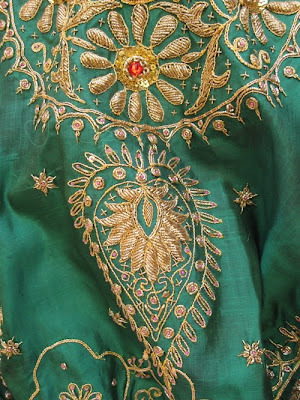 At least 50 years old, this piece is covered with gold embroidery of impeccable craftsmanship. It's a large, voluminous robe, but I could only get detail shots because I was merely transporting it, and terrified of inflicting any damage. And this bukhnaq, a head covering, also from the National Museum. 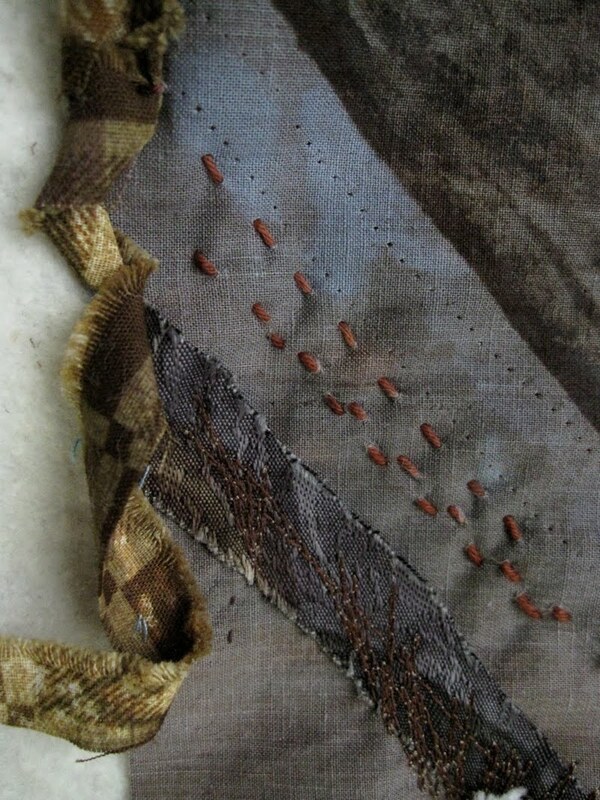 The scarf is sheer, but the embroidered part is heavy, as if there is actual metal content in the threads. 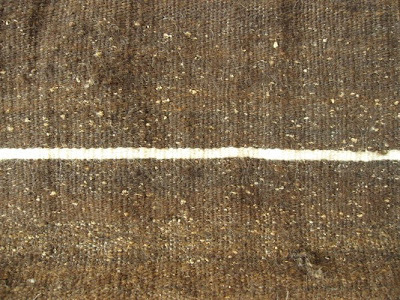 Looking closely, you can see two tones, gold and silver. 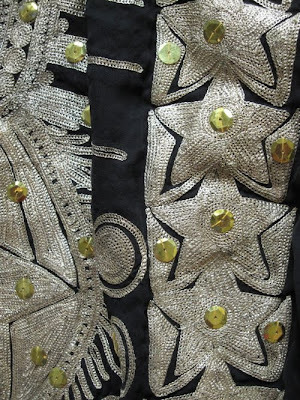 This and the above piece were both bade in Qatar, and this type of gold, chain-stitch embroidery was continued up until quite recently, albeit in a much less exquisite form. 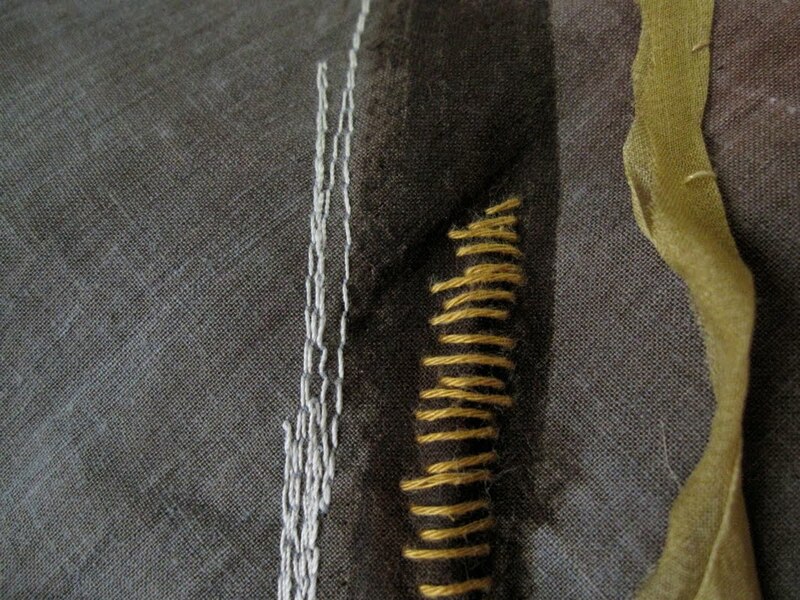 The last image is a detail from a contemporary piece, a thobe al nashal made from gold-embroidered silk from India (from a private collection.) 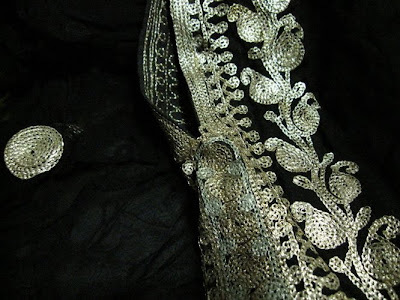 This robe is worn during the henna night, when a bride's hands and feet are decorated with henna prior to her wedding. 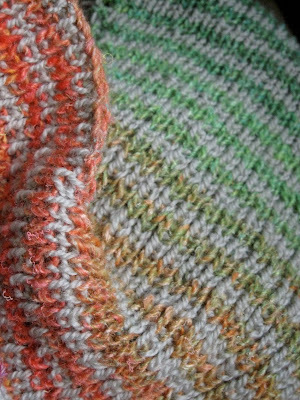 So yes, I definitely got some good textile exposure out of the deal. 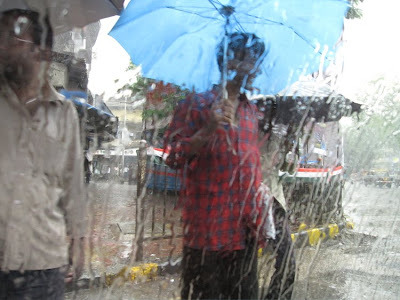 The monsoon season was such a welcome change from Doha's May and June heat. 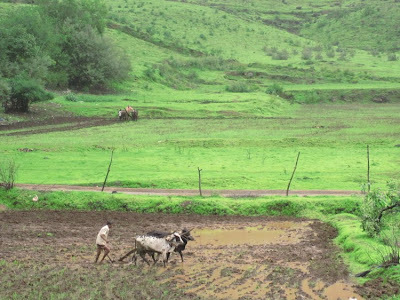 Can't even express how much I enjoyed basking in a landscape like this, and watching people plow with oxen. Look how wet! See the waterfalls? So very wet, and raining enough that everyone is wearing raingear to work the fields. 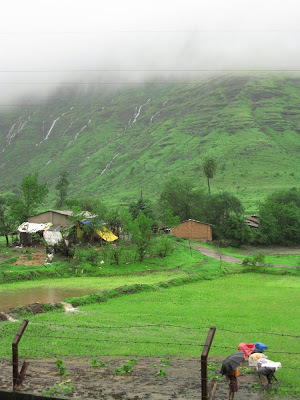 In this part of Maharashtra, village rain gear means a large plastic bag, slit open along one side, so that the peak forms a hood and one's back is covered. They're really for sale in the market, just like that. Rows of brightly colored plastic-coated people plucked and re-planted these fields with remarkable efficiency, working all day long in the squelching mud. 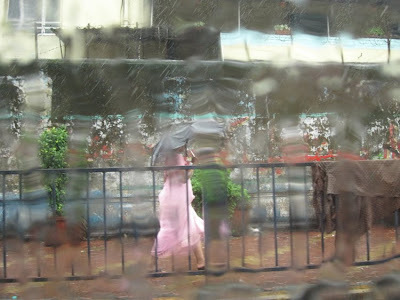 It seemed to rain particularly hard on our days of travel, and I discovered a new genre: through-the-wet-window photos . Way fun. I had been thinking, quite a bit, about how much of "my life" seemed contained in my laptop, and how that didn't feel right. 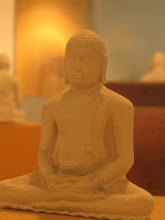 Wanting to clean up, clear out, slow down, reduce. Making plans and resolutions. Then I came home and after one day of use, my hard drive crashed. All gone. So I've been doing other things. Spending time with the phang and soft grey Romney, which I may not have taken the time to appreciate otherwise.